Next trade shows 2019. 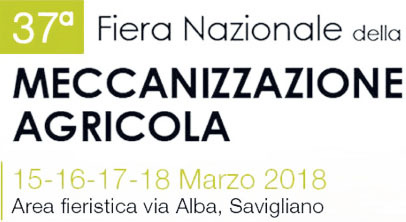 We invite you to visit our stand! 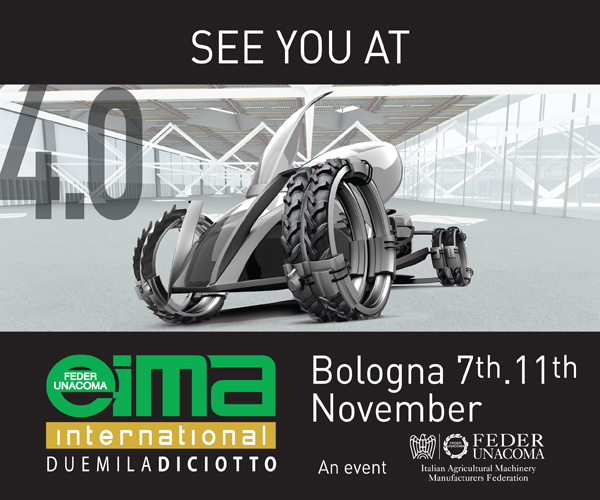 We will be at EIMA International of Bologna from 7 to 11 November. Come visit us at Salon International des Productions Animales. 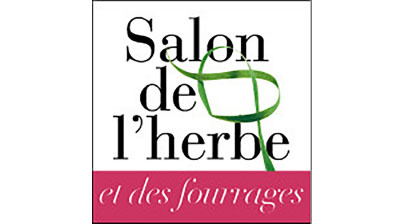 We will be at Salon de l’Herbe et des Fourrages. 30-31 May. Nouvoitou (35) à 12 km de Rennes (France). 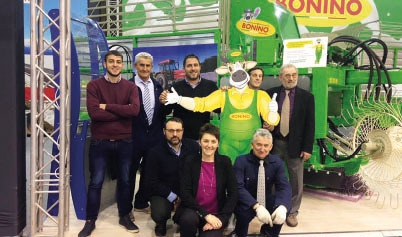 Bonino at Agricultural Mechanization Exhibition of Savigliano from 15 to 18 march. 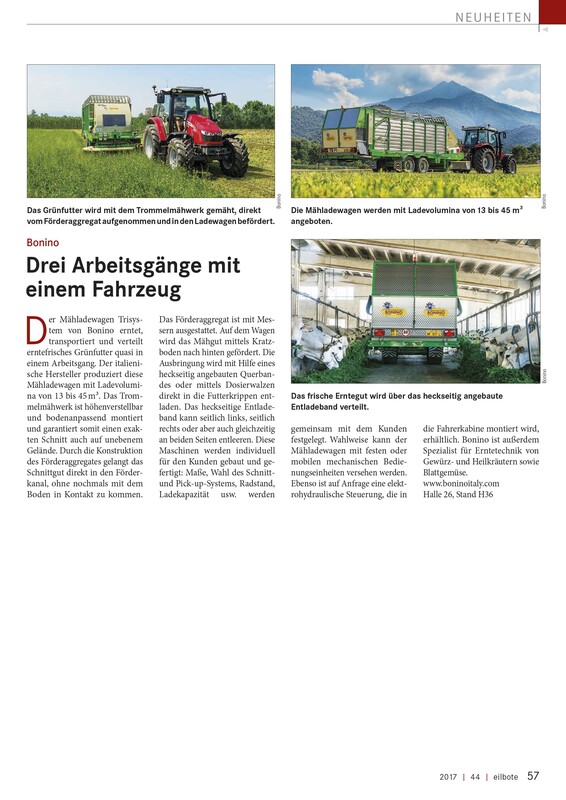 Bonino at Agritechnica of Hannover. 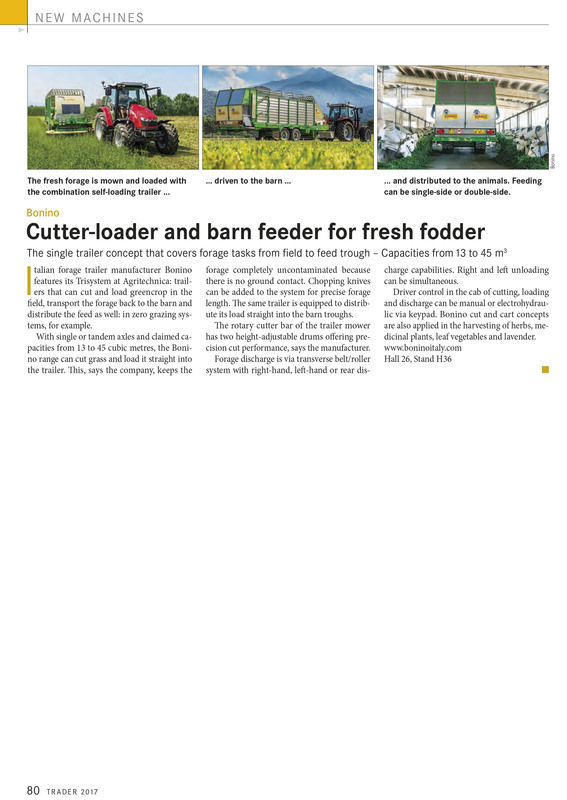 Bonino presented to Agritechnica its latest model, the Trisystem Self loading forage wagon, a machine that carry out three activities at a single stage of work: cut, load and automatically distribute the grass in the manger of the stables. 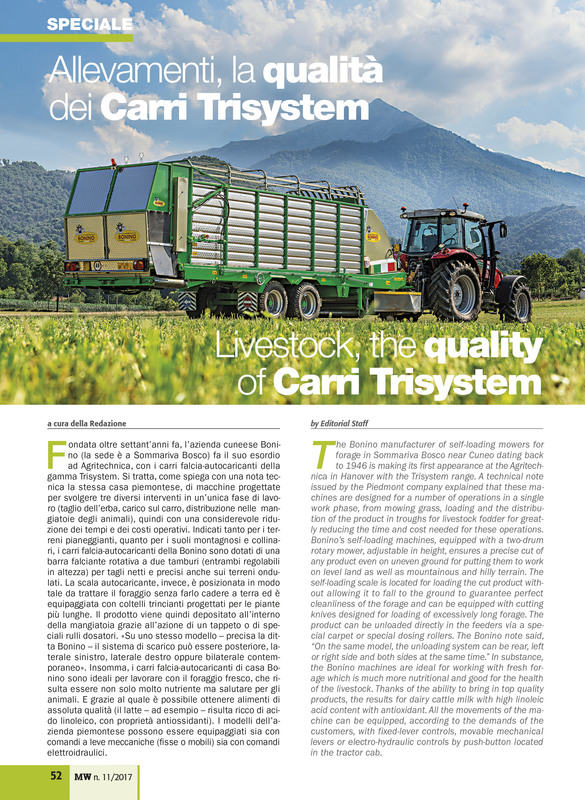 The special features of this model have generated huge interest among farmers and contractors. Bonino at EIMA of Bologna. 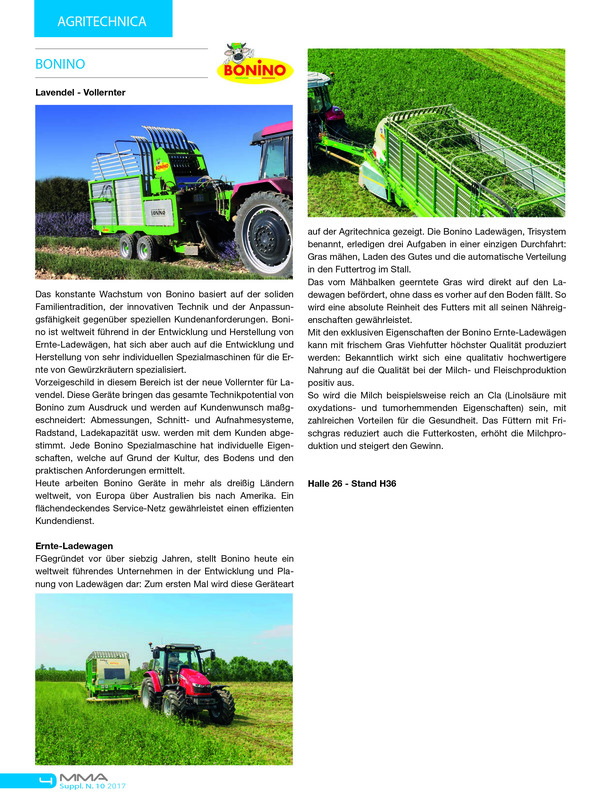 Great success with the public at Bonino Stand, which presented its exclusive Lavender Harvester Machines and the famous Trisystem Self loading grazer wagons. 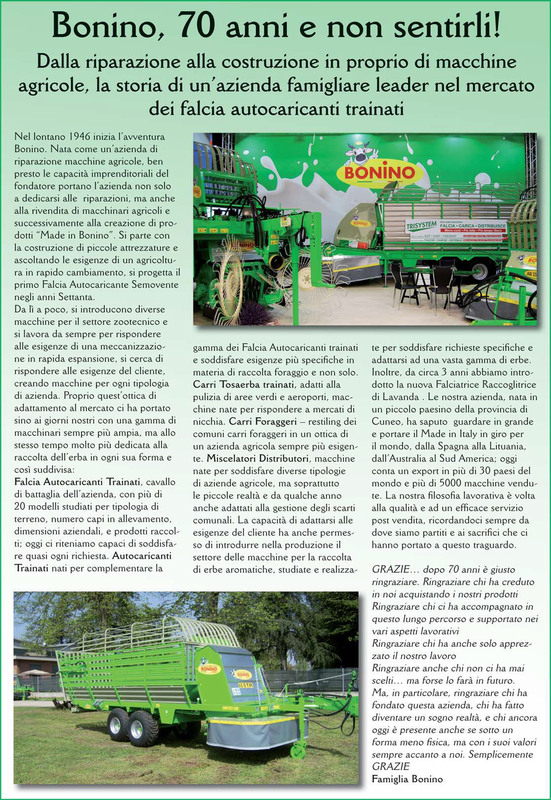 The Exhibition was also an opportunity to celebrate the seventy years of activity of the company, born in a small town in the province of Cuneo in 1946.